Seth Godin wrote recently about Bar graphs v Pie charts. 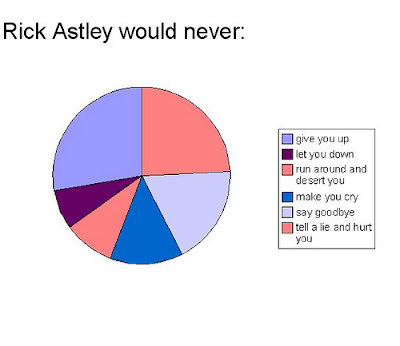 His advice - where possible, use a pie chart. They are better for making a point. I agree. Thanks Elaine for this one. Thanks for sharing. Seth is right. Pie charts are better ti use, they are more informative. But some people doesn't know how to create pie chart so they can find a lot of pie chart templates here http://www.pptstar.com/diagrams/pie-charts/.